Loupedeck is a photo editing control deck designed specifically for Adobe Lightroom, compatible with version 6 and later. Conceived by photo enthusiasts and former Nokia developers, Loupedeck is a result of a successful crowdfunding campaign. The clear selling point of control decks are enhancing the photo editing workflow. Quicker. Less strain on the hand. For those that spend hours upon hours using Lightroom, the Loupedeck could be a godsend. 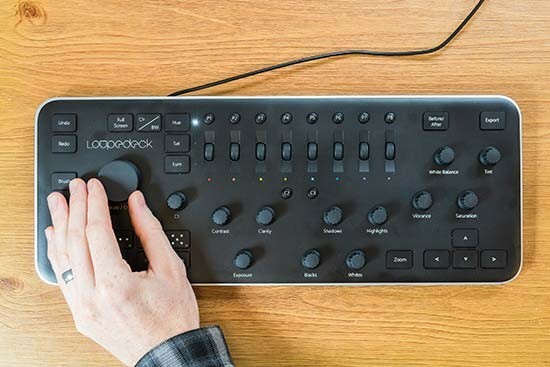 Loupedeck's exclusivity to Lightroom may prove to serve its success or failure. 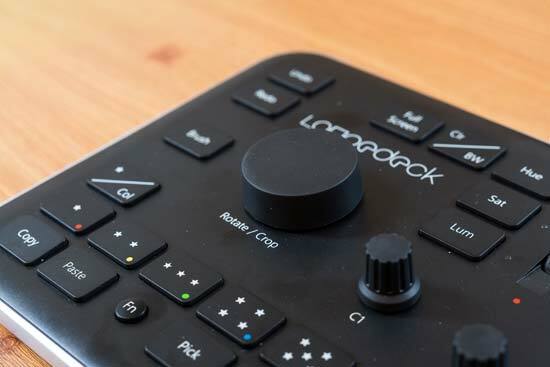 In one sense, if Lightroom is your choice photo management and editing software, then Loupedeck's exclusivity is a big plus. 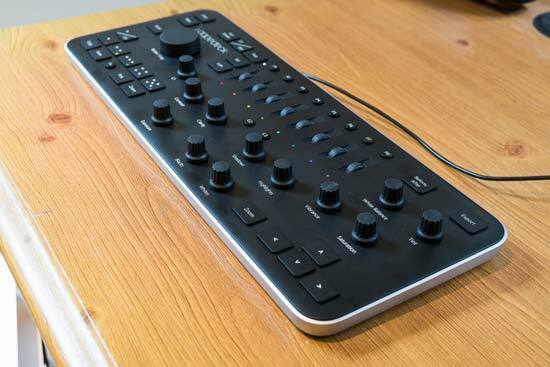 Being purpose-built for Lightroom, at a first glance a Loupedeck appears incredibly easy to navigate. The same cannot be said about other similar but multi-functional products, such as the Palette kit we reviewed recently. On the flip side, those that regularly use multiple editing software apps might not find a Loupedeck the right fit. Will potential customers be put off, knowing that there are other similar options out there that can work with multiple Adobe Creative Suite apps? Time will tell. We’ll comment more about this in our conclusion, but first, let’s take a closer look at the product. A Loupedeck can be purchased on the Loupedeck website for £325 and shipping is from 27th July 2017. Compatible with both Mac and PC, the Loupedeck specifically works with Adobe Lightroom 6 and later - that includes Lightroom CC of course. Minimum system requirements are Windows 7, Windows 8.1 or Windows 10, Mac OS 10.10, Mac OS 10.11 and Mac OS 10.12. The instructions are super simple. Download the software, plug in the device. Connection is via a USB 2.0 cable and the software is available for free via the product website. You won’t find a simpler installation process. 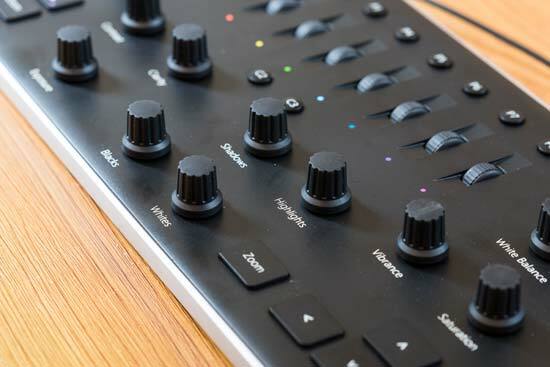 Once the software is open, Lightroom automatically detects the Loupedeck USB connection and away you go. We have conducted our review of the Loupedeck with the latest version of Adobe Lightroom CC. Things start well - the packaging of the Loupedeck is as slick as the finished product, a smart matt black. The unit feels solid enough but we haven’t been using it long enough to comment comprehensively on its durability. Next up, the size. Control decks are no small things and the Loupedeck is around the same size as your typical keyboard. It measures 400x150x40mm and weighs 600g approximately. Is your workspace big enough to hold one? Certainly, we had to tidy the desk up before finding a space for a Loupedeck and cracking on with the review. Alternatively, you could rest a Loupedeck on your lap. It’s a short term solution that is ultimately counter productive to the more comfortable editing selling point - hunching is no good thing. There are in the region of 50 controls on the deck, comprising dials, buttons and wheels. That’s a lot of controls, but thanks to the Loupedeck’s large surface area, it’s not intimidating. Dials are clearly labelled with specific edits, including Shadows, Highlights and Exposure. For the best part, the dedicated dials appear to be paired together on the Loupedeck in the way they appear in Lightroom. White Balance & Tint, Blacks & Whites, Vibrance & Saturation and so on are grouped - it’s all logical. Dedicated buttons (keys) include controls like Brush, image star/ colour rating and Export. Everything is clearly labelled and most of the key Lightroom controls are covered. 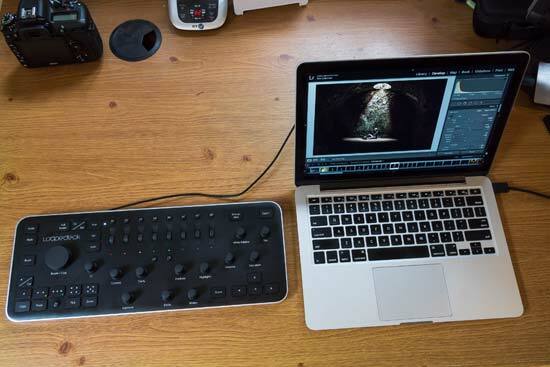 The Loupedeck control deck is as helpful for beginners as it is for regular Adobe Lightroom users. Ease of use is a clear benefit of Loupedeck’s exclusivity to Lightroom. We became familiar with control deck layout very quickly. Controls are not entirely fixed, in that a few keys can be customised. Indeed when the Loupedeck app is first opened you are presented with the choice of customising some of the button/ dial functions to taste. By default the small wheels below the P1 - P8 keys primarily adjust colour channels in conjunction with Hue, Saturation and Luminance. 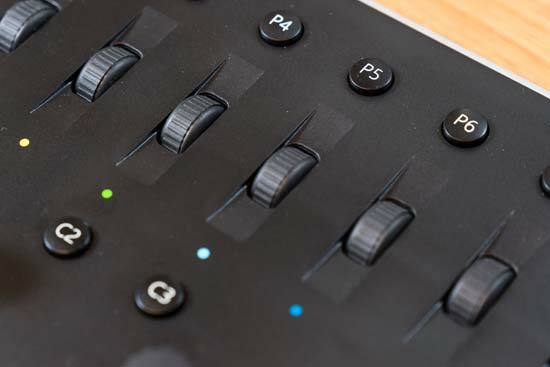 Press the Fn key and the P1 - P8 keys input a Lightroom Preset that can be chosen by the user. Alternatively, a User Preset can be added - though you’ll need to create that separately. Then there are three custom buttons, logically C1, C2 and C3. We were disappointed by the lack of choice for what can be assigned to these buttons. C1 is OK, being able to adjust sharpness and noise. But the C2 and C3 keys have the same set of choices, limited to three. That seems kind of crazy because the Fn key doubles up these keys, meaning there are three possible controls for buttons that have capacity for four functions. Overall, the level of customisation could be improved. After years of keyboard and mouse/ trackpad use, the instinct to reach out for these controls is hard to shift. No matter how simple a control deck is, there is this instinct to overcome. But soon enough, overcome we did. We were keen to explore how comprehensive a Loupedeck is. Could we ditch the computer mouse/ trackpad and keyboard entirely? Well, the quick answer is no - don’t pack the keyboard or mouse away just yet. For example, there is no cursor control on the Loupedeck. So, although it’s possible to zoom in on an image, you won’t be able to move around the image. Likewise, the adjustment brush can be selected, but not controlled. The ultimate setup for serious editing is a control deck for selecting and operating functions and a separate graphics tablet for controlling the cursor with a precise touch. Clearly a control deck cannot provide direct control over every Lightroom function, but in reality users do not use every Lightroom function. For the vast majority of our image editing workflow, the Loupedeck had us covered.